Forums Archive · Where's My Refund? Forums Archive · Where's My Refund? 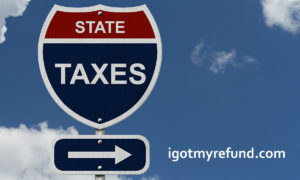 Get more info, share ask questions here about your state tax refund. If an individual owes money to the federal government because of a delinquent debt, the Treasury Department can offset that individual's federal payment or withhold the entire amount to satisfy the debt. Stuck with only a once-a-week update cycle? Well this is a place to come to lament, discuss, ponder and (even occasionally cry) with other “weeklies” and like-minded individuals in the same situation! Is your tax return under review? Read more here or create a topic with your questions. Does it seem like it’s been FOREVER since you’ve seen any movement on your return? Unfortunately, there seems to be a group of early filers and others who are stuck with no status updates. If you are wondering if your tax return has bee resequenced and what that means, here is the place to find out. The injured spouse on a jointly filed tax return files this form to get back their share of the joint refund when the joint overpayment is applied to a past-due obligation of the other spouse. Where’s My Refund (WMR) Tool is telling you what? Group for users who have question about the Earned Income Tax Credit (EITC). The guidelines for a qualifying child are generally easy to understand, but in some cases, for example in a divorce, custody rules for EITC can get be confusing – and oftentimes debatable between parents and caregivers. Ask questions and discuss the EITC with other in this group. A place where IRS manualholics enthusiastic can gather and discuss the manual. What does form CP05 mean? Or error code…. Look it up here. Separate topics here for different banks, prepaid cards and their posting policies/times, your experience, etc. Mistakes on federal tax returns are common and can be fixed. How? Amend your tax return and file it right. 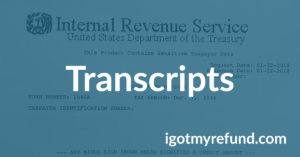 Tax Form 1040x is the form to use for amending your tax return. But wait, it can't be e-filed. How do you file an amended return? 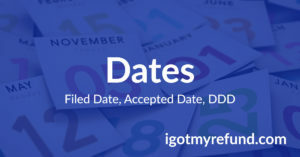 Filing status, income, deduction or credits that are wrong on your tax return can be fixed with an Amended return. There is even a special WMR, dubbed the WMAR to check the status of your Amended tax return. Join this group, Amended Returns to learn more and mingle with others, ask questions and share your experience!